Gottman Couples Therapy - A New Research-Based Approach! New 2020 Dates Coming Soon! This two-day workshop will prepare you to begin using the Gottman Method in your practice immediately. 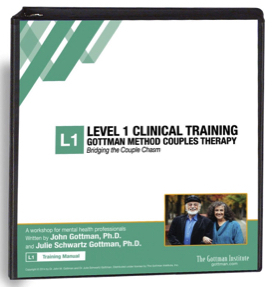 Training for Couples Therapy now offers the Gottman Method Professional Workshop “Level 1: Bridging the Couples Chasm” training created by Drs. John and Julie Gottman. In this Level 1 training you’ll learn the Gottman Method to Couples Therapy for your counseling practice. Completion of the Level 1 workshop is required before attending the Level 2 training. Sign-up for both and save $100! 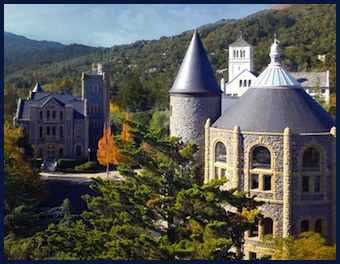 Sign-up for multiple workshops, as a student or intern, or as a group and save up to $250! See registration for details. your competence and inspire transformation. clinical interventions - a $150 value. interventions with a real couple. workshop fulfills the Level 1 requirement. featuring new relationship assessment questionnaires and clinical interventions. When couples enter the therapy office, they sting with pain and despair. They look to the clinician to referee chronic conflicts, fix their partners, and rebuild burned bridges. Now, based on Dr. John Gottman's 35 years of compelling research with over 3,000 couples, there's a practical and highly effective approach to guiding these couples across the chasm that divides them. In this workshop, you will be provided with a research-based roadmap for helping couples to compassionately manage their conflicts, deepen their friendship and intimacy, and share their life purpose and dreams.